Are you a Veteran seeking employment or training? 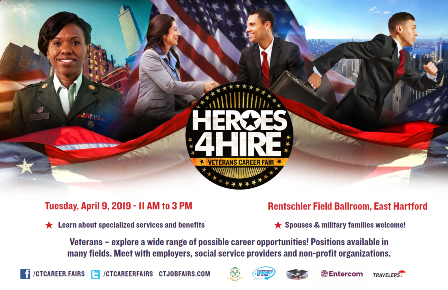 Are you an employer looking to hire a Veteran? CTHires - Need a résumé? Want employers to search for you? CTHires allows registered job seekers to build an online résumé that can be searched by employers that are hiring! Searching for jobs is easy! Enter a keyword for the type of work you are seeking, desired location and click “Search”. Earn Your Veterans at Work Certificate. Click here for a link to their website where you can download their guidebook. National Veterans Crisis Line, 800-273-8255.